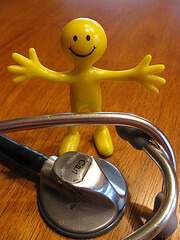 You may have had an experience like this: some nagging health issue not quite bad enough to take the time to tackle. Or with a solution that seems too painful, too bothersome… so you let the issue keep on nagging, usually getting worse. 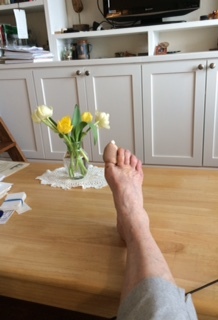 For me, it was a minor foot issue – okay, an inelegant ingrown toenail. My good pedicurist, alternating with a private podiatrist (my healthcare provider does not provider for regular foot care,) kept the darned thing at bay for the past four or five years. It was a pain in the foot, but on the scale of one to ten it peaked to eight only rarely. Almost a year ago, my podiatrist reached the limit of his patience. Finally I took a deep breath and scheduled the surgery. Instead of (or before; I still wasn’t looking) the shot in the toe there was a freezing action the doctor said would “feel like ice pouring over the area” which was, in fact, breathtakingly painful for about 15 seconds. And that was it. A few minutes later I was handed a sheet of instructions for “after a nail procedure,” fitted out with a Velcro’d boot, and sent off to drive home. It was all I could do to remain pitiful enough for a few hours’ sympathy. The next day, the fancy bandage came off. Recovery boiled down to Band-Aids and a little pother of three-times-a-day soaking for 5 minutes. Probably the most difficult part of this long-feared episode was being confined to home for two days, soaking, elevating (not critical, but perhaps helpful) and feeling pitiful. By the end of the second day I was going stir crazy. So I suited up in socks and Birkenstocks and went to a jazz service. There I met an old friend who left San Francisco several years ago. “I guess you hadn’t heard about Bob’s surgery,” she said, when I asked how long they’d been in town. “They found a tumor on his kidney. He was at the VA, and they took out one kidney, his urethra, a lot of other stuff. They say he’s fine now. We got an apartment here so he could recuperate.” About that time her recovering husband walked up for a hug.